Ready, set, launch! 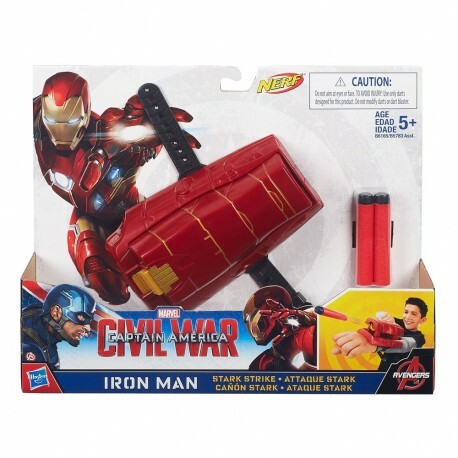 With the Iron Man Stark Strike gauntlet, kids can join the action with a pop-up feature that activates with the push of a button! Once the pop-up launcher has been revealed, push the button a second time to send a dart flying into the battle. Heroes-in-training can simply strap the gauntlet onto their wrists and get ready to launch into the action--with a bit of imagination, they'll soon be joining the fight to save humanity with the power of Iron Man on their side! 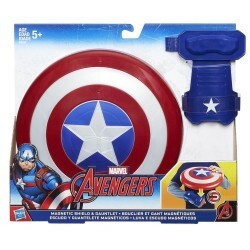 • Includes 1 gauntlet and 1 dart.